Switzerland is the country with the second highest price level in Europe. It follows Iceland and is still ahead of Norway. It is striking that all three countries are not member states of the European Union (EU). While it's true that the next most expensive countries, Denmark and Sweden, belong to the EU, they have not adopted the euro. Prices in Switzerland are noticeably higher when compared to its peers, particularly for location-specific, non-tradable services as well as for goods under political competition protection. These include areas such as housing, health, or food. 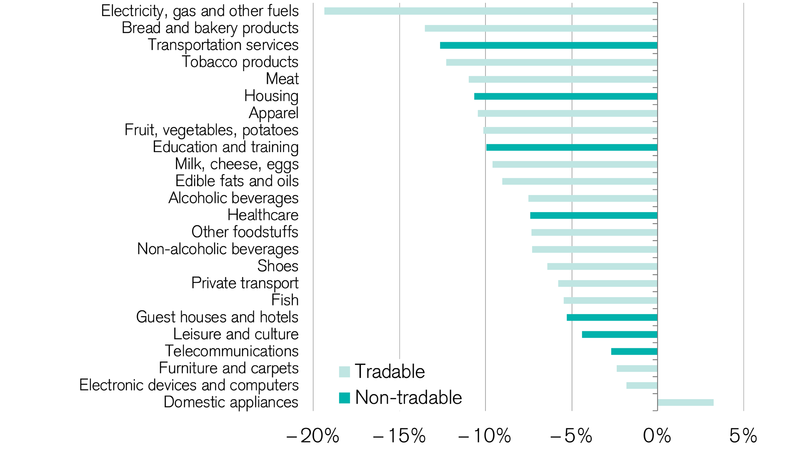 In contrast, tradable goods that were produced abroad and are not protected from competition are not much more expensive. Monitor Switzerland from Credit Suisse provides analyses and forecasts for the Swiss economy. In the fourth quarter, the question in focus is what effect opening the market would have on prices in Switzerland. For this purpose, the price level trends of European economies are examined. There is a clear connection between the high price level and gross domestic product (GDP). In rich countries that have high salaries, competitive salaries must be paid out to location-specific service providers such as doctors or teachers. This generally leads to a higher price level. The connection between economic performance and prices explains much of the difference in price level for the large part, but not completely. Similarly wealthy countries such as Luxembourg, Ireland, Germany, and the Netherlands show a lower price level than Switzerland. This suggests a less pronounced link between economic performance and price level. Therefore, there must be other factors affecting price development. Protectionism, i.e. 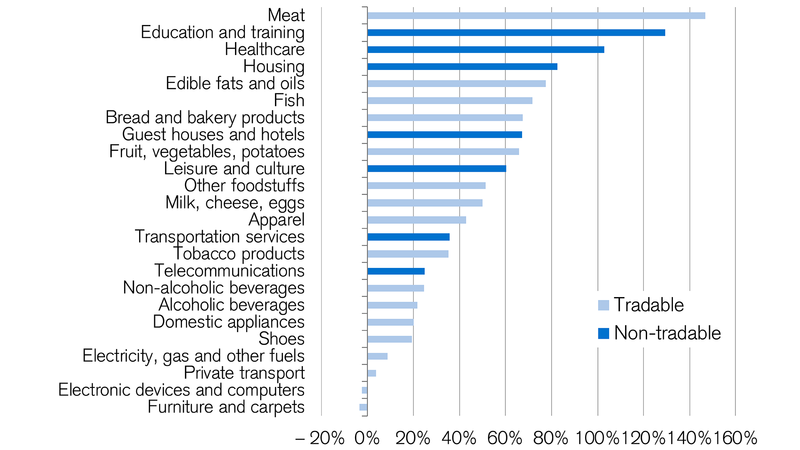 not fully participating in the EU Single Market, could be one of these factors. As a rule, competition and the free circulation of goods, services, capital, and people lead to lower prices. Access to the EU Single Market could have many advantages. The price levels of the 28 EU member states have become similar to each other since the introduction of the euro in 1999. The coefficient of variation has even fallen by a total of 10 percentage points. More than 45 percent of this development was caused by the liberalization of the EU Single Market together with other aspects such as local preferences or transport costs. However, participation in the EU Single Market had less of an effect on the development of the price level than economic growth and the exchange rate. This is because the EU states became more economically similar in the same time period. This can be seen in per capita GDP, which grew rapidly in the economically weaker countries and therefore led to an increase in prices. Economic growth and the exchange rate explain – in relation to easily tradable goods – the remaining approximate 50 percent of the difference in price developments between 1999 and 2017. In order to assess the effects of opening Switzerland's markets to the EU Single market, Switzerland can be compared with economically identical EU countries such as Germany, Austria and the Netherlands. According to estimates, since 1999 Germany and Austria have experienced, respectively, a price level increase nine percentage points and three percentage points lower than Switzerland. It can therefore be assumed that the price development will be somewhat subdued by the EU Single Market. 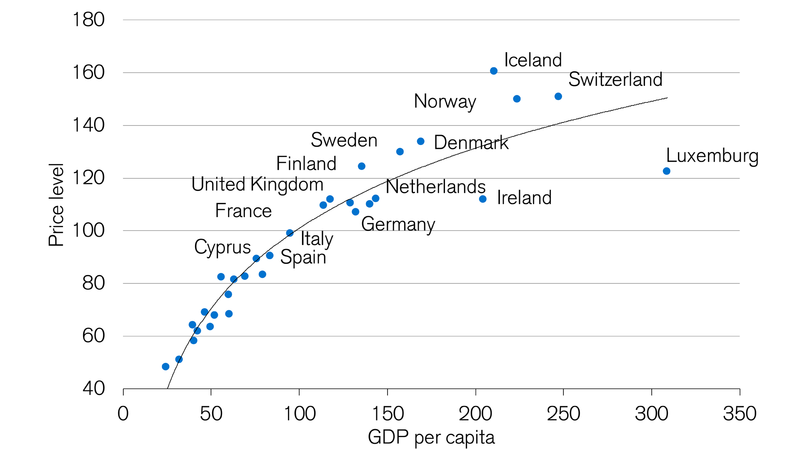 However, this hypothesis is contradicted when you look at the Netherlands. In the Netherlands, there was a 1.5 percentage point higher increase than in Switzerland. 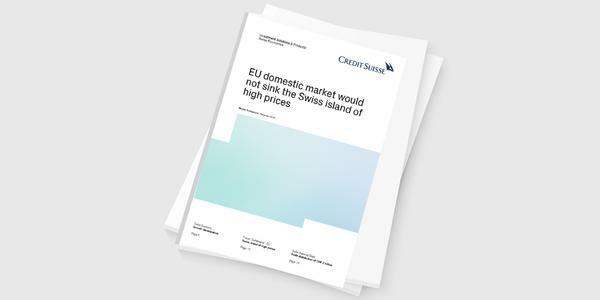 We can therefore conclude that the framework agreement between Switzerland and the EU that proposes opening Switzerland to the EU Single Market would not result in a massive lowering of prices for Switzerland.